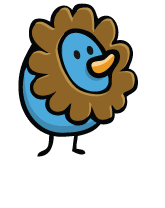 Leo the confident Lion oozes with pride. You kings and queens of the jungle love to be the center of attention, strutting through life with a fiery air of confidence. Leos are warm of spirit, eager for action and driven by a desire to be loved for what they bring to others. Straightforward and bold, your place is in the spotlight.